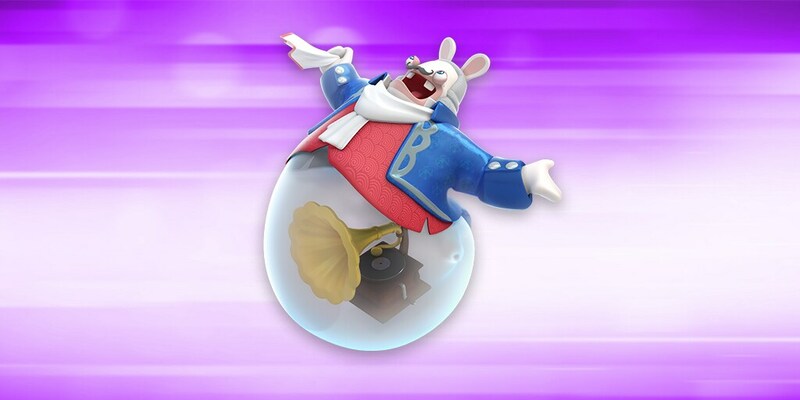 Mario + Rabbids Character Guide: Peach - Elegance meets fierceness! As ruler of the Mushroom Kingdom, Peach is beloved by her subjects far and wide. Whether she's giving a speech, visiting Toad Town or studying up on the latest dungeon-based escape techniques, she does it all with dignity and grace under fire. This time however, she'll strike a nice balance between defense and mobility as she joins our Heroes in saving her sovereign lands. 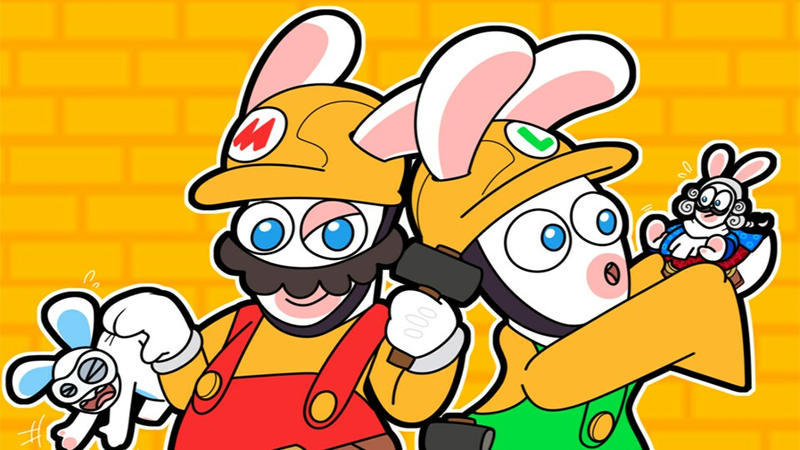 BOOMSHOT: Peach and Rabbid Mario share a taste for close-range battles, and their use of the same Primary weapon: the Boomshot. Its large dispersal cone grants Peach some strong offensive skills, including charging enemies without fear and destroying all blocking obstacles, all while showcasing a princess’s ability to fight. GRENADUCK: More dangerous than ever, the Grenaduck will happily bounce over enemies’ cover and wreak chaos among their lines in a burst of cuteness. Enemies will love to hate the Grenaduck. ROYAL GAZE: Nothing escapes Peach’s attention when she fights for her kingdom’s safety. Royal Gaze is a react ability that lets Peach shoot any enemy that makes the mistake of walking past her Boomshot. PROTECTION: Peach is a paladin-type hero. Her role is to be on the offensive when she has to, but to protect her teammates at the same time. With Protection, Peach creates a defensive bond with all nearby heroes, distributing damage between her and the affected heroes. HEALING JUMP: Peach also has healing abilities, which she can activate during her movement phases. When Peach Team-Jumps, she slightly heals all the heroes who are within her landing area. THE REJUVENATION JUMP: Free one of your teammates from an enemy’s super effect (e.g. Ink, Honey, etc.) with Peach’s Team Jump, after the Cleansing Jump ability has been unlocked. Then land beside your fellow Hero to restore some of their health and give them a fresh start. 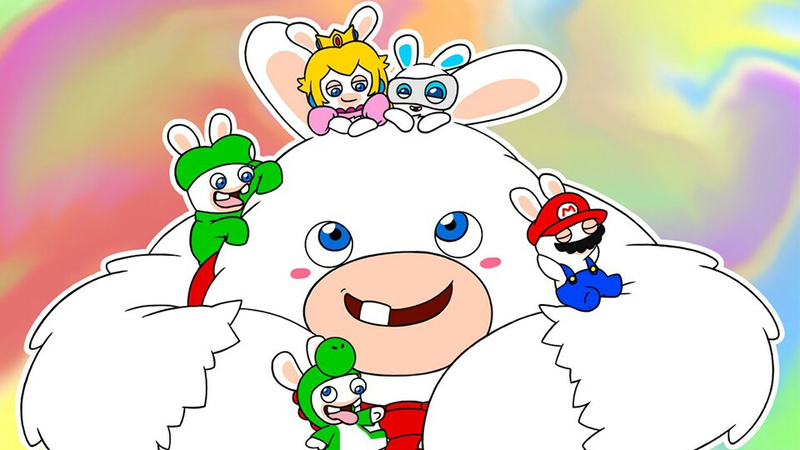 THE ULTIMATE SHIELD – PROTECTION X SHIELD: Cooperation between Peach and Rabbid Peach often leads to great combos. Activating Rabbid Peach’s Shield and combining it with Peach’s Protection will enable Rabbid Peach to go through any kind of attack without even a scratch. PROTECTION X WEAKEN: If you are looking for a team-scaled protection, this combo might catch your attention. Activate Peach’s Protection to distribute damage amongst your teammates, and then use Rabbid Luigi’s Weaken to reduce the initial damage of the enemy. If you add in the Vampire effect of Rabbid Luigi’s Dash, no enemy line has a chance against you. THE BIG CLEAR-OUT – BOOMSHOT² X MAGNET DANCE: It may sound like it, but this trick isn’t for cleaning up your place. Use Rabbid Mario’s Magnet Dance to gather all enemies in the same place, and then align Rabbid Mario and Peach and use both of their Boomshots to clean the area entirely.